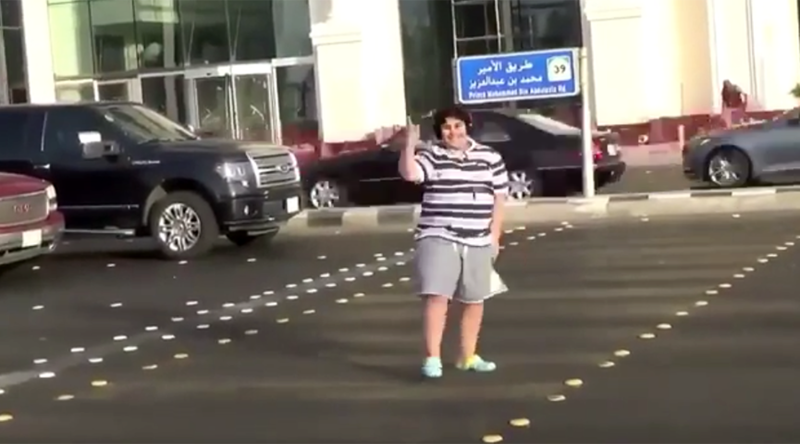 A 14-year-old Saudi boy has reportedly been arrested in Jeddah after video footage of him doing the ‘Macarena dance’ in the middle of a traffic intersection went viral. The video shows the boy making his way to the middle of Prince Mohammed bin Abdul Aziz Street, while cars wait at a red light. The 1990s global hit ‘Macarena’ plays as the boy, wearing headphones, begins to do the dance associated with the song. The video was met with a mixture of criticism and appreciation online. Some commenters said the boy was being disrespectful, while others called him a hero and laughed at the footage. RT is unable to verify the exact upload date of the footage, which has gone viral in recent days. There are reports online that the video is in fact from 2016, with a since removed YouTube video of the boy dancing pointed to as being the original video. When that link is entered into Twitter, it returns tweets from July 2016 with links to the dancing boy video on Twitter. Al Weeam reports security authorities analyzed the video as it circulated online. Secret patrols and security coordinated to find the boy and arrest him for disrupting traffic and violating public morals. Police spokesman Colonel Dr Ati bin Atiyyah al-Qurashi told Alwan TV that the youth’s case will be referred to the public prosecutor. Earlier this month, Saudi Arabian pop star Abdallah al Shaharani was arrested for dabbing at a music festival. The dance move is banned in the Kingdom due to its connotations with drug use.